Chad Silber co-anchors 2 Wants to Know at 5:30 alongside Tanya Rivera and WFMY News 2 at 6 and 11 alongside Julie Luck. Silber joined the WFMY News 2 team in September 2013 as a Reporter. In 2014, Silber was promoted to Weekend Anchor. In 2015, he was promoted to 2 Wants to Know Anchor. In 2017, he was promoted to Evening Anchor. This year, Silber was a part of the team that produced award-winning coverage celebrating the life of the Reverend Billy Graham. The coverage won the team a North Carolina Association of Broadcasters award for breaking news coverage. TEGNA Pinnacle Awards also named the coverage one of the three finalists for Breaking News/Big Story Coverage. During his time at WFMY News 2, Silber has initiated numerous programs and station-wide events to benefit people in the community. In 2016, he organized and completed a single day, 17-hour, bell-ringing event benefiting the Salvation Army of Greensboro. The next year, he expanded the event to include five Triad cities. During the weeklong marathon he broke numerous records for amount of money raised by a single person in a single day. The plan is to grow the event every year. Silber has been a part of a lot of big coverage while at WFMY. He’s traveled to cover three hurricanes (Colin in Florida, Hermine and Matthew in North Carolina), President Donald Trump’s inauguration in Washington, D.C., the Carolina Panthers’ NFC Championship win in Charlotte and Super Bowl 50 loss in San Francisco, Duke’s trip to the Final Four and National Championship win in Indianapolis. Before his move to North Carolina, Silber spent four years at KOLN/KGIN in Lincoln, Nebraska where he was the morning anchor for three of those years. 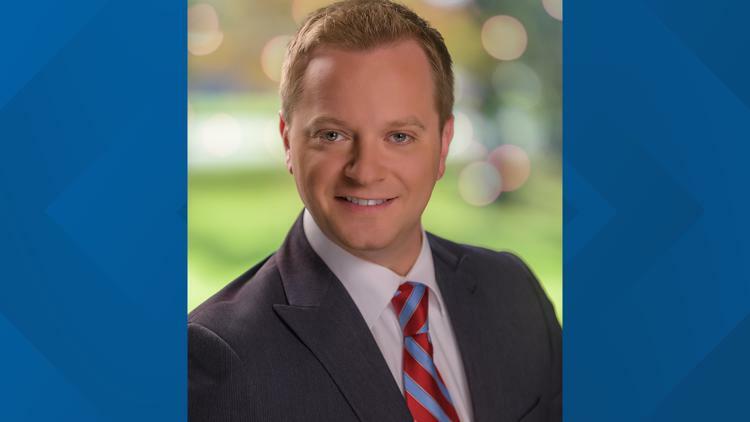 Prior to that, Silber spent two and a half years at WJFW in Rhinelander, Wisconsin where he was the evening anchor. Silber has received awards of broadcast excellence from the Wisconsin Broadcasters Association, the Associated Press and the Nebraska Broadcasters Association. He grew up in Eagle River, Wisconsin and graduated college from the University of North Florida. Silber has an affinity for most sports and isn’t afraid to add local sports teams to his growing list of teams to root for throughout the year. Connect with Chad on: Facebook, Twitter and Instagram.